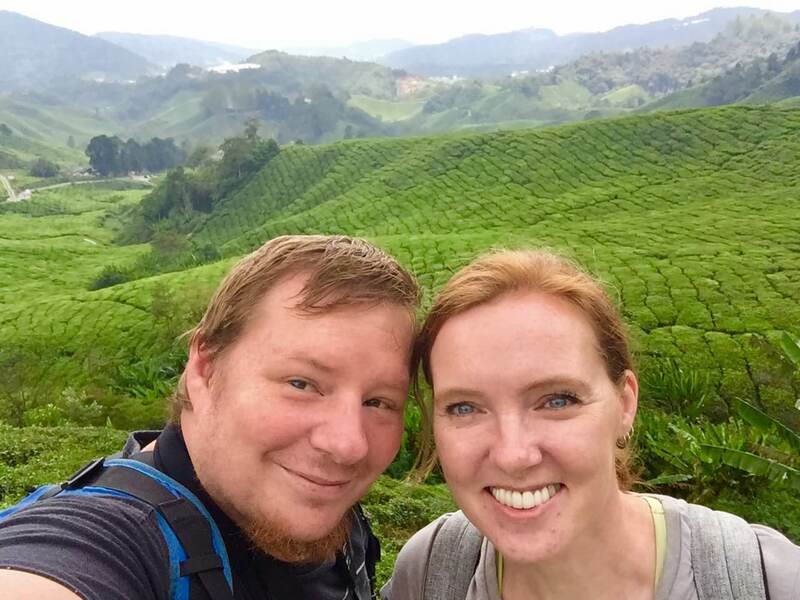 We got nominated by our buddies from iZogAdventure to participate in a brand-new quiz called “10 things you didn’t know about the #TravelTribe”! In case you don’t already know, #TravelTribe is a collective of people who share their love of travel via social media including Twitter, YouTube, Instagram and Facebook. We had to choose five of the questions they already answered, plus add five new questions of our own. Read our answers down below! Q01 – What is your favourite place you’ve travelled to? Tom: That’s a really difficult question. I think I’ll choose Tortuguero in Costa Rica. It’s a tiny town on a river next to the Caribbean Sea, right in the jungle. There are only two ways to get there; by boat or on a small plane. The whole place was really peaceful and we were surrounded by nature 24 hours a day. It was probably one of the most remote places we ever visited. Sarah: I can agree with that. But we do also really love where we are right now, which is Chiang Mai, Thailand! We had heard a lot about how it is a hub for digital nomads. We had planned to spend 8 weeks here and were a little bit nervous in case we didn’t like it, but we absolutely love it. As well as great weather and great food, it has dozens of coffee shops and co-working places so we have all the time and space we need to work on our blog. Plus the accommodation is really cheap, and there are loads of things to do here! Q02 – What is the first thing you do when you arrive in a new location? Both: For us, it is always important to get a feeling for a place. Because of this, one of the first things we do when we arrive somewhere new is to scout out the neighbourhood. Where is the nearest grocery store? Where are good places to eat? Is there anything that helps to orientate within the place, like for example a river? What’s the easiest way to get around? Q03 – What was your biggest travel mishap? Sarah: About a month into our current trip, I managed to bleach half of our clothes in a guest house in Saigon. They had said we could use their washing machine for our laundry, and we had a big bunch to do. It was one of those top-loading machines, with a couple of bottles next to it. Both bottles only had Vietnamese text on them, but by the branding, I could tell that one was obviously fabric softener. The other had some pictures of clean white shirts on it, so I sloshed some into the machine. About half a second later, I realised what I had done and howled out loud. I have still never managed to successfully replace my beloved black North Face trousers since then! Q04 – Which was the first big trip you did together? Both: Our first big trip together was when we went to Kenya and Tanzania in Africa. We had a fantastic experience there on a safari and in Zanzibar, we had the probably most awesome room view ever! One of the most interesting things we’ve done in Zanzibar was a Spice Tour. Q05 – What’s your favourite adventure activity while travelling? We don’t know whether you can call it an adventure activity, but we love to explore cities on a Segway! The coolest experience we had in Tallinn, where we were allowed to drive without a guide around the city. We had so much fun! Q06 – What’s your favourite animal you encountered while travelling? We love all the animals we meet on our travels (except mosquitoes, angry dogs and cockroaches), but one of our most favourite animals we ever met on our travels was a little baby sloth called Stevie. We left a part of our hearts in the Sloth Sanctuary in Costa Rica where we met him. We both fall in love with cats and dogs on a daily basis in general though. Q07 – Favourite or most interesting food? When we are in Europe, we absolutely love all the dishes that include cheese: Fondue, Raclette, cold cuts, pizzas and many more. In Asia, where we are at the moment, it’s a lot more difficult and expensive to get really good cheese. A really good freshly baked loaf of bread is also something we miss from Europe. Our favourite Asian food is most definitely Vietnamese. The freshness, lightness and delicious flavour combinations of Vietnamese food is just unparalleled by other cuisines. Some of the most awesome food we had was when we visited Hanoi in October 2017. We did also love the food in Malaysia, and also India. Basically, we love all the food. We eat all the food. Are you interested to learn more about the amazing food Hanoi has to offer? Then check out our ultimate guide to food in Hanoi Old Quarter! Q08 – What was the worst dish you’ve ever eaten while travelling? The worst food we had while travelling was at one restaurant in (surprisingly) Hoi An in Vietnam. We were really hungry and so far, we had eaten only amazing Vietnamese food everywhere in the country we had been. So we basically just sat down at the closest restaurant to the river and ordered some spring rolls. We never had such a bad dish before. The rolls were really hard and chewy and had absolutely no taste! But at least we learned two things from this experience: 1. Always check on Google maps whether or not a place gets at least ok reviews and 2. Never wait until you are starving to eat (Sarah particularly has hanger issues). Not that we want to do down Hoi An food in general. We had really awesome food experiences in Hoi An. You can read more about them in our post about the Hoi An Cooking School. And overall, we have not eaten any really awful dishes, just badly cooked ones on the odd occasion. Q09 – What are you most looking forward to in 2018? There are some great things coming for us in 2018! Highlights we are looking forward to are definitely TBEX in New York State (we’ve never been in the US before), our first house sit in the UK and possibly discovering yet unknown South American countries. We also still have a visit to Laos, and Hong Kong before we leave Asia in early July. Q10 – What has travel taught you that you would like to pass on? Tom: Travel has taught us that you don’t need many material things to be happy in life. All I have is the stuff I can carry with me in my 55l backpack and in my 15l daypack. When you travel like this, you never feel the urge to accumulate things. This feeling is really liberating and my aim is to keep this minimalistic approach to things. Sarah: To steal a quote from Princess Elsa, travel has taught me to let it go. I tend to worry less about things in general, particularly the future. Although I am and will always be the kind of person who plans things, I am much better at dealing with sudden changes of plan when things don’t work out. And like Tom, living from a backpack has taught me I can live without certain comforts. To pay it forward, we would like to invite Chad and Stef from Touring Tastebuds and Audrey from Sanityfound to answer as well 5 of the above questions and 5 Questions they can add by themselves. Some great questions and answers guys. Minimal is the way forward and allows more appreciation of the world around us I think.